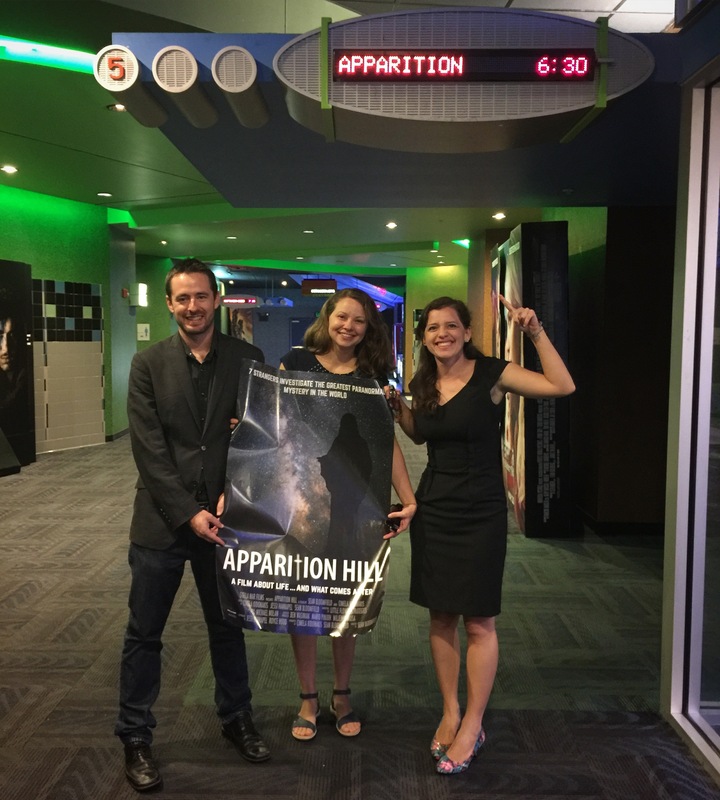 Click on the screenings below to learn more about each special advance screening of Apparition Hill including how to purchase tickets. You can also bring the film to your area by hosting your own screening. Pleasse join us for the viewing of Apparition Hill at Crescent Cinema – 313 Madison, Pontiac. Sunday October 30 – Movie time 2:15 PM. Contact Liby Andrews 815-970-1200 or Monte Andrews 815-419-1300 for tickets. For information about tickets please contact Ricardo Osorio at (540) 846-3348. Proceeds will be designated to a charity to be determined soon. May the Sacred Heart of Jesus and the Immaculate Heart of Mary bless you always! St. Mary’s Catholic Church, Fairfield, PA, is hosting Apparition Hill on Sunday, November 6 at 1 OM at Gettsyburg Gateway Theater 20 – pResidential Circle, Gettysburg, PA. TIckets $15 and sold in advance only. Proceeds to benefit the new Carmelite Monastery of Jesus, Mary, and JOseph being built in Fairfield, PA. Send payment to Jan Ferguson, 24 Ski Run Trail, Fairfield, PA 17320. Include a self-addresse envelope with your ticket request. Please include your phone number. For additional information: apparitionhillgettysburg@gmail.com or call 717-398-1679 and leave a message. Medugorje prayer group hosting apparition hill in omniplex cinemas dundalk Ireland Monday 7 & 8 Tuesday @6.30pm sharp contact James mc crave 00353872202173 proceeds go to St Joseph & the helpers charity. 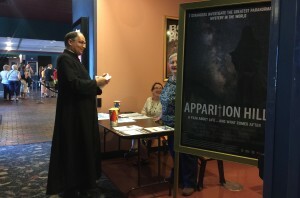 Marian Charities brings Apparition Hill to the Ridge (Marcus Theatres) in New Berlin. Wednewday Nov. 9. Doors open at 6:30 PM. The film begins promptly at 7:00 PM. Tickets are $10 and are sold at the Marian Center, 3712 N. 92 St. Milwaukee, WI 53222, 414-464-7288. Ask for Darlene or contact Joseph Yakel, 414-430-6661. Seating is limited and so is the time. Don’t wait! The film begins promptly at 7 PM, doors open at 6:30 pm. Tickets are $10. We expect a FULL HOUSE, so although we will have any extra tickets for purchase at the door, we strongly encourage calling ahead and securing a reservation. 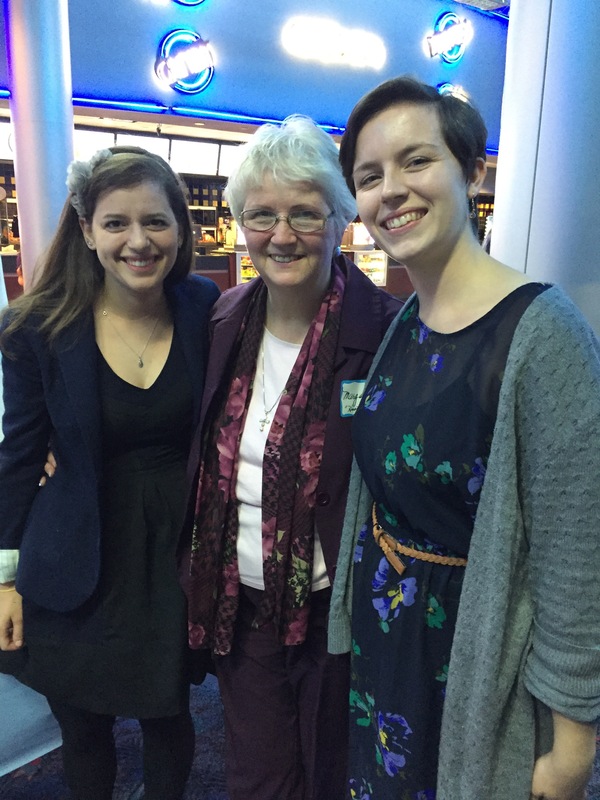 Procees will sponsor seminarians on pilgrimage to Medjugorje – an investment in our future! For tickets: Diane Wasiniak – 419-512-1713, nurse21853@aol.com or Teresa Grodi – 419-290-2236 – teresa@catholicfaithjourneys.com. (LEave a message). Shelton Cinemas – 517 W. Franklin Street – Shelton, WA – 10:30 AM Tickets available at the door. Contact Theresa Henderson 360-280-2798 or e-mail thenderson@squaxin.us for tickets. Coming to Reg Lenna Center for the Arts on November 12th at 6pm. Tickets are $15. 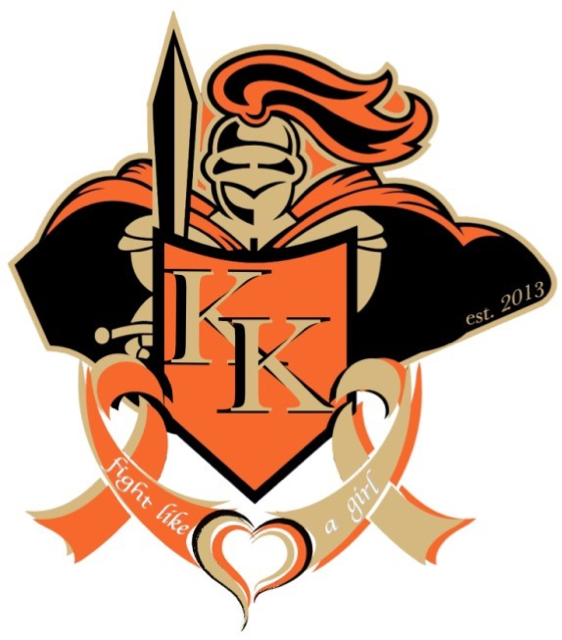 Proceeds will benefit Kallie’s Krusade Foundation, a non-profit organization aiming to raise awareness and funds to support families in our area fighting against childhood and pediatric cancer. Fleur Cinema – Des Moines, Iowa If questions, please call Marilyn Lane – 515-975-4017. Showing at the Chatham Capitol Theatre, 238 King St. W., Chatham, Ontario at 2 PM and 7 PM. Tickets $10 – sold in advance, limited tickets available at box office the night of the movie. Proceeds to Fatima House Trust Fund, a Canadian registered charity, which operates a school for the destitute in Pakistan. Good Shepherd presents Apparition Hill at Century Laguna 16 in Elk Grove, CA. St. Matthew Catholic Church is hosting the movie, Apparition Hill, on Thursday, November 17 at 7:30 PM. Landmark’s Glendle 12 Theatre, 6102 N. Rural Street, Indianapolis, IN. St. Joseph-St. Pius X Parish office at 508-859-8083. 1:30 PM – Century 16 Greenback. Doors open at 1:00 PM. Celebrate the Feast of the Immaculate Conception by witnessing 7 ordinary people (believers and non-believers) as they journey and experience the love and healing in Medjugorje. Doors open at 9 AM (Please use theatre entrance that has direct access to the parking lot). Ticket price is $15. Seats are limited. Tickets will not be sold at the door. Please purchase your tickets in advance by contacting Sisca at 416-731-8252. Showtimes and ticketing info coming soon. 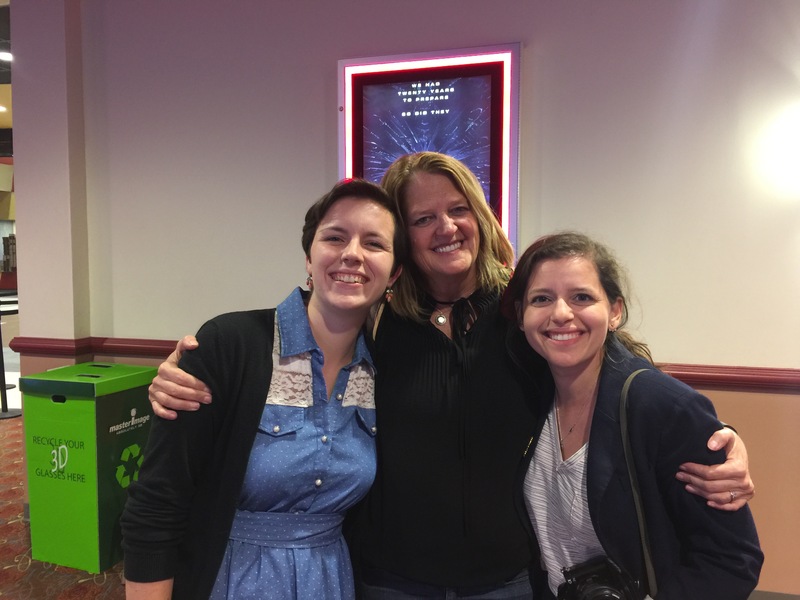 Successful Screenings – See Where It’s Shown! TICKETS $15 each, all proceeds will go to a local family in need. Order tickets online at: http://bit.ly/2dqmkRm or contact Lisa at 847.224.1138 with questions. St. Lawrence Parish presents Apparition Hill special fundraiser screening to benefit the parish. Details coming soon. Doors open at 6:30pm and film begins promptly at 7pm. Tickets are $7. Tickets sold presale through St Patrick’s Parish Office 406 Walnut St, Yorkville IL 60560 (630) 553-6671 or the night of at theater. The last showing sold out 2 weeks ahead, so don’t wait to get your tickets! *St Patrick Yorkville does not take for granted the authenticity of the apparitions at Medjugorje. We await the final ruling from the Holy Father and submit fully to the authority of the Holy See. 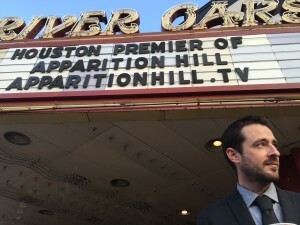 Please join us on October 13 at River Oaks Theatre in Houston, TX at 7:30PM for the showing of Apparition Hill. Doors open at 7PM, and tickets are $15. Half of the profits will be donated to Helping Hands Medical Missions, Inc. The other half of the profits will be donated to Hope for Iraqi Christians in honor of Razouk and Mary Maizy Kherkher. 7 PM – AMC Arapahoe Crossing 16 Theatre, Aurora, CO. See a VIP special advance screening with the directors, Sean Bloomfield and Cimela Kidonakis along with Producer Jessi Hannapel. Tickets are $12 each. Advance online purchase for this one-time showing *ONLY*! Seating is extremely limited so no refunds or cancellations. At King Tomislav Croatian Club, Edensor Park. All profits go to the local nursing home and children’s dance group. Sunday October 2nd – 1:15 PM and 5:15 PM at the Seton Hill Performing Arts Center. Contact apparitionhillgreensburg@gmail.com or call 724-261-1657 for tickets. Special Advance Screening – The Vogue Theatre – 3290 Sacramento Street (at Presidio) – 10:15 AM. Tickets $20. Limited seating available. Advance tickets purchase highly recommended. Purchase by contacting Katie Bagley at 831-915-2019 or kkbags23@aol.com. Proceeds benefit the building project of St. Mary’s Kindergarten Nazareth (Arama) Ethiopia founded and served by the Franciscan Missionary Sisters of Christ. 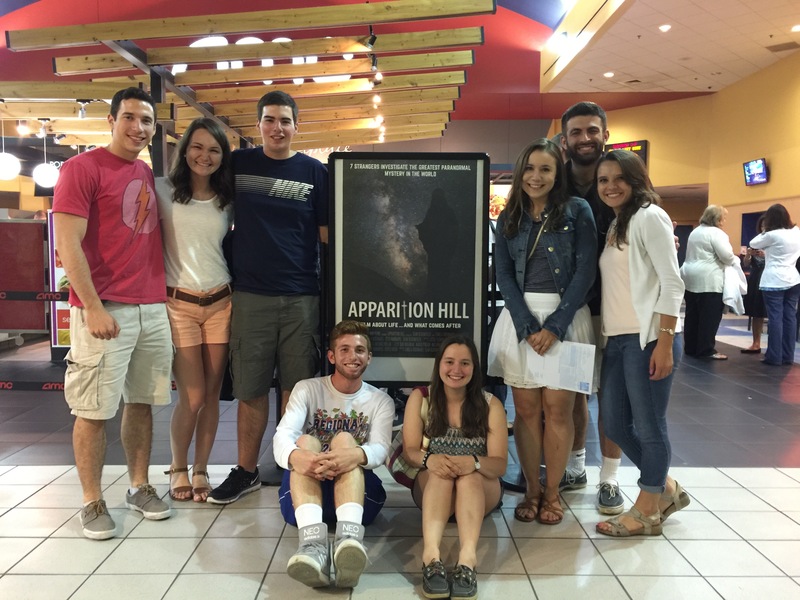 are proud to present the movie viewing of APPARITION HILL. Tickets are only $10 general admission. ***SOLD OUT*** Bowtie Cinemas – 430 Plandome Rd, Manhasset, NY – Contact theater to request the film in October at (516) 365-9188. 2 PM -Novi Emagine Theatre – 44425 Twelve Mile Road. Tickets available online only. No tickets at the door. Proceeds donated to ConnectUS, a local organization that provides quality programming for individuals with severe multiple disabilities. Special Advance Screening at the George Bernard Shaw Theatre to benefit St. Clare’s Hospitality Food Kitchen (a voluntary organization that provides meals for the needy). Sunday Sept. 25th at the Visual Centre, Carlow – 3 PM and 8 PM. Tickets available at The Graiguecullen Parish Center 059-9141833/059-9182882 or The Visual Centre 059-9172400. Doors open at 12:30 PM, show starts at 1 PM. Tickets $15. Proceeds will be donated to St. Maximilian Kolbe Catholic Church in Pembroke Pines. IMC Ballymena on Larne Link Road. Contact donnagh08@icloud.com for ticket information and showtimes. Knights of Columbus presents Apparition Hill on Wednesday night at 7:30 pm. Location: Bellmore Movie Theater, 222 Pettit Ave , Bellmore N Y .
APPARITION HILL , tickets sold in advance. Limited tickets available at box office the night of movie. Ticket price: $15.00 each. Send your payments to: Vincent Murray, 1606 Paula Court, No. Bellmore, N Y 11710 . Include a stamped self addressed envelope with request for tickets . Also include your tel. #. The Spirit of Medjugorje is hosting Apparition Hill at 7:00 PM at Tinseltown Erie. Tickets sales will benefit Medjugorje Calls You and Mary Mission. For information on purchasing a ticket, go to www.spiritofmedjugorje.org. 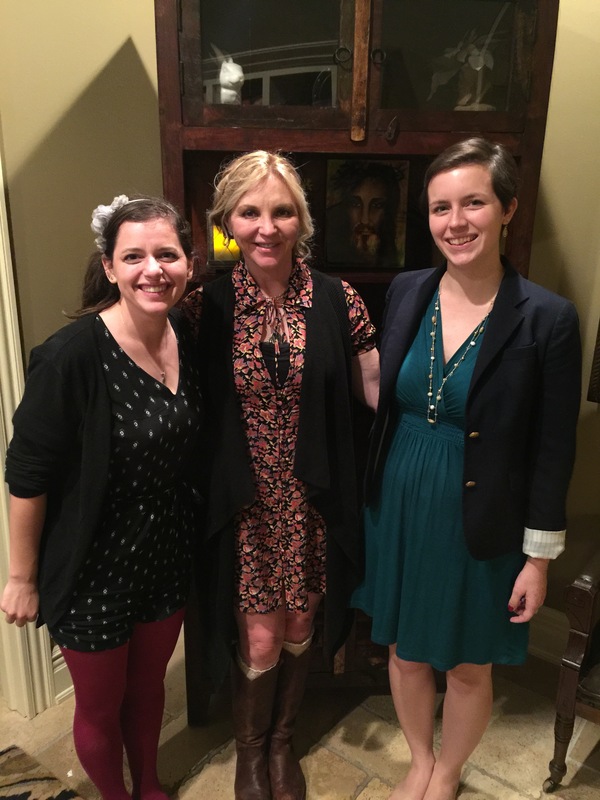 Two Hearts Catholic Gifts and Books in Mokena hosts two shows! 5:30 PM and 8:00 PM AMC Showplace New Lenox 14, 1320 W. Maple Street New Lenox, IL 60451 Tickets are $20 per person. Seating is limited and proceeds benefit the Benedictine Sisters of the Our Lady of Sorrows Convent. Tickets available for purchase at the Two Hearts Store – 9426 W. 191st Street in Mokena or online. Questions – call Karli at 815-531-7422 or Karla at 815-735-4676. 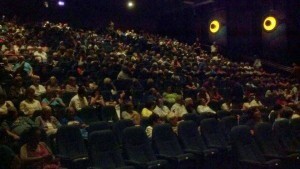 Harkins Tempe Marketplace 16 – 2000 East Rio Salado Parkway, Tempe, AZ 85251. Doors open at 6:30 PM, show starts at 7:00 PM. Tickets – $15 by check, $16 by credit card. Contact trinitypilgrimage@cox.net or call 602-319-5289. Visit www.trinitypilgrimage.com for more information. 7 PM – Cinemark Tinseltown – Mission – Contact Lolys Gonzalez apparitionhillrgv@gmail.com or call 956-897-MARY (6279). ***Both shows SOLD OUT*** 2:00 PM to 4:15 PM (CDT) Rave Cinemas Davenport 53 & Imax 3601 E 53rd St. Davenport, Iowa 52807 Click below to attend: http://bit.ly/29TeLAq All proceeds from ticket sales will be donated to Mary TV & Relevant Radio. 6 PM – Cinemark Pharr Town Center – Contact Lolys Gonzalez apparitionhillrgv@gmail.com or call 956-897-MARY (6279). 7 PM – Cinemark Tinseltown – Mission – Contact Lolys Gonzalez apparitionhillrgv@gmail.com or call 956-897-MARY (6279). Tickets also available onsite at SIGNS & PRINTS 308 N. Conway Ave.Ste 6. (956) 583-0310. August 5 - Morgan City, LA - U.S. Premiere - ***Held Over*** runs through August 25! Gurnee, Marcus Theatre – 6144 Grand Avenue, Gurnee, IL. Call 224-257-9218 for tickets and showtimes. 7 PM Cinemark Pharr Town Center – Contact Lolys Gonzalez apparitionhillrgv@gmail.com or call 956-897-MARY (6279). Tickets also available through Alfredo V. Gonzalez M.D.,P.A. 200 S. Cage Blvd. ( 956) 702-3600. 6 PM Cinemark Sunrise Mall – Contact Lolys Gonzalez apparitionhillrgv@gmail.com or call 956-897-MARY (6279). Sunday, August 7, 5:00 p.m. – Fleur Cinema – Des Moines, Iowa If questions, please call Marilyn Lane – 515-975-4017. Marcus Point Cinema – 7825 Big Sky Drive, Madison, WI – e-mail aimeeh@marcuscorp.com for tickets and showtimes. 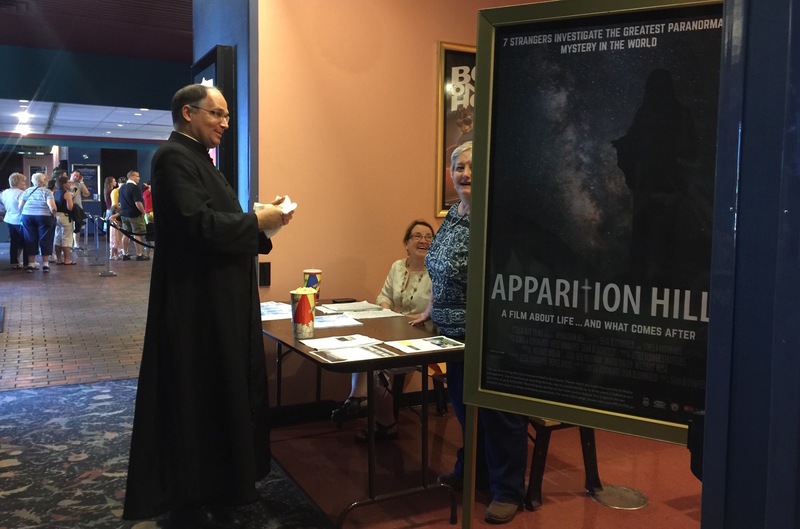 St. Anthony of Padua Catholic Church presents Apparition hill at the Woodlands Cinemark – Tinseltown 17. Details to be provided soon. Apparition Hill will be screened on Sunday the 24th of July at 11:15 AM at Fays Twin Cinema, Taree, NSW, Australia 2430 – $10 per ticket. Tickets for sale at Taree Catholic Parish Office or please contact Loesje Doherty on 0487444790 after 4 PM or Sharon Fowle on 0407006666. Proceeds will support Cancer Council of Australia. Special event – Screenings of “The Triumph” and “Apparition Hill” with Ben Wasiniak (The Triumph) and filmmakers Sean Bloomfield and Cimela Kidonakis. Edinburg Conference Center at Renaissance – 118 Paseo del Prado, Edinburg. The Triumph will screen at 4:00 PM and include a special Q&A session featuring Ben Wasiniak. Apparition Hill screens at 6:30 PM. Tickets are $12. Contact Lolys Gonzalez apparitionhillrgv@gmail.com or call 956-897-MARY (6279). Seaside Wireless Communications presents Apparition Hill at the Savoy Theatre. E-mail Sandra.Killam@seaside icktes or call 902-842-1577. 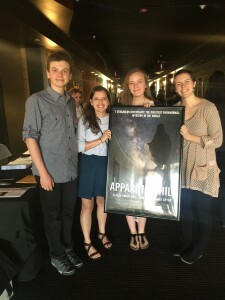 Special event – Screenings of “The Triumph” and “Apparition Hill” with Ben Wasiniak (The Triumph) and filmmakers Sean Bloomfield and Cimela Kidonakis. Edinburg Conference Center at Renaissance – 118 Paseo del Prado, Edinburg. The Triumph will screen at 5:30 PM and include a special Q&A session featuring Ben Wasiniak. 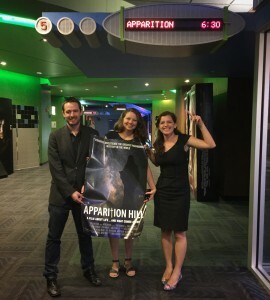 Apparition Hill premieres at 8:15 PM. Tickets are $12. Contact Lolys Gonzalez apparitionhillrgv@gmail.com or call 956-897-MARY (6279). Filmmaker Sean Bloomfield presents Apparition Hill in Mostar. Tickets cost 10 EURO (US$12), and bus transfer from/to Medjugorje is available for an additional 10 EURO. Purchase tickets. 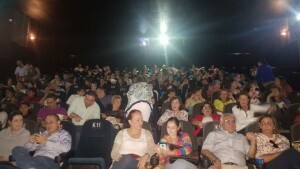 Cinemark 16 – Somerdale. 3 PM. Tickets $10. Available online only. For questions, call 617-212-1302. Carmike Cinema Thoroughbred 20 – Located at 633 Frasier Drive (Cool Springs) in Franklin, TN 30767. Theater Tel. # is 615-778-0982. Doors open at 6:30 PM. Ticket price is $16.00. Call Alice Kapolas at 615-210-3265 or e-mail blessings10611@aol.com for tickets. 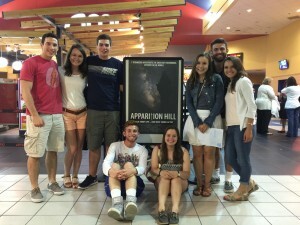 See Apparition Hill at the AMC Clifton Common Theater – 405 Route 3 East, Clifton, NJ. Showtime is 7:30 PM on June 15. Tickets $15 and must be purchased in advance through Sacred Heart Church in Lyndhurst. Call the parish office at 201-438-1147 or email sacredheartchurch@comcast.net for more details. Medjugorje/Mostar, Bosnia-Herzegovina By invitation only. Some seats available. Contact us with ticket requests. One showing only at Ogden 6 Theatre – 1227 E. Ogden Ave. – Naperville, IL Doors open at 6:30 PM and Show starts promptly at 7:05 PM. Tickets $10 – advance purchase only. One night only! Apparition Hill will be screened at NCG Cinemas in Yorkville at 1505 North Bridge St. Doors open at 5:30 PM and film begins at 6 PM. Come and meet Mark, one of the 7 featured in the film. Meet and Greet to follow at St. Patrick’s 406 Walnut Street, Yorkville, 2 minutes form the theater. Tickets $7. To purchase, call St. Patrick’s Parish office at 630-553-6671. At this time, the Medjugorje apparitions have not been approved by the Holy See. The Vatican concluded its investigation of Medjugorjre in 2015 and Pope Francis is expected to make a ruling on the authenticity of the apparitions soon. We humbly submit to the authority of the Holy See for final judgement. ***To meet demand, capacity has been added*** Please join us at the AMC Village Crossing Theatre in Skokie. Tickets $15 each. (limited seating available). 100% of proceeds will be donated to Blessed Aloysius Croatian Catholic Mission Church of Chicago. Please join us at Mindframe Theaters, 555 John F. Kennedy Road #105. Doors open 6:30, movie starts at 7pm. Contact Jamie Easley at 563-564-5585 or jamieeasley@yahoo.com. Tickets $10 each and must be pre-purchased. All proceeds will go to Aquinas Communications Catholic Radio in Dubuque. ***This screening has sold out–check back to see if an additional showing will be added. *** Pathway to Peace, The Patricia & Jessica Lutz Foundation presents Apparition Hill at Xscape Theatres Northgate 14. Tickets are $10.00 per person. Emagine Theatre – 200 Barclay Circle, Rochester Hills – 4 PM. 6 PM – DeBartolo Performing Arts Center, Notre Dame, IN – No advance ticketing. First come, first served. Please note, due to university constraints there is no public ticketing available and seating is extremely limited. Tickets will only be released 1 hour prior to the event and are not guaranteed. Contact Cape Ann Cinema – https://capeanncinema.wordpress.com/ Add. details coming soon. Special “The Triumph” double feature! Tickets $13/$20 for both. Contact Victor at 617-212-1302 or e-mail victor.pap@littleflowerstrategies.com – doors open at 6:30 PM at the Patriot Cinemas, Hingham Shipyard. The Triumph showtime at 7:00 PM sharp. followed by Q&A and Apparition Hill at 9:25 PM. Arcada Theatre – 105 East Main Street. 7 PM. 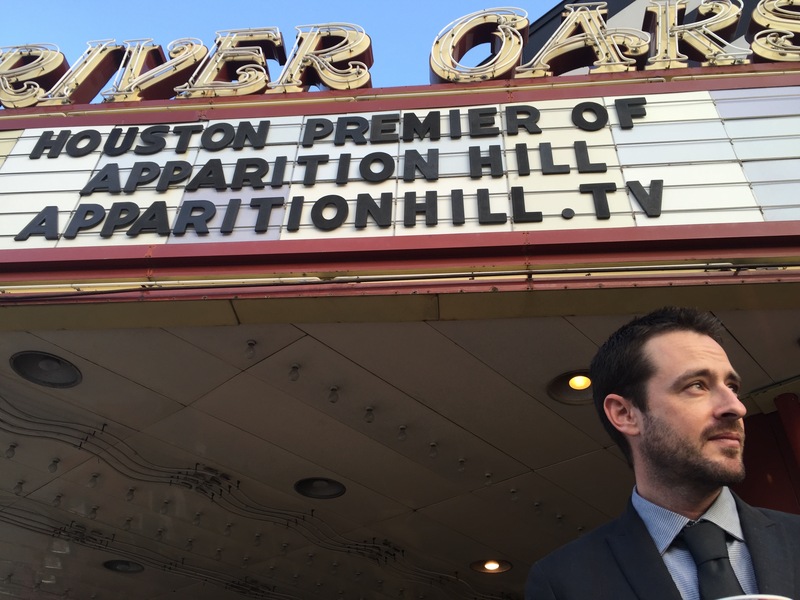 Attend the Houston premiere screening of Apparition Hill, the highly-anticipated film about one of the greatest paranormal events in world history. Includes a Q&A with filmmakers Cimela Kidonakis, Sean Bloomfield and Jessi Hannapel. Seats are limited for this one-time premiere screening, so book before it sells out! Doors open at 6:45 PM, May 11, 2016, at the River Oaks Theater in Houston, TX.